Well-being hotel at Mt. Kronplatz with spacious wellness area, countless extras for families & dreamlike view over the South Tyrolean mountains. Welcome to Hotel Lanerhof****s in Montal! Gourmets, active vacationers and people in search of relaxation will spend fabulous and unforgettable days in Hotel Lanerhof in Montal. The mountain world of the valley Pustertal and the unspoiled nature round the experience off. At our house you will stay in stylish furnished guestrooms and cozy wellness suites, which are furnished with whirlpool, rain shower and balcony. 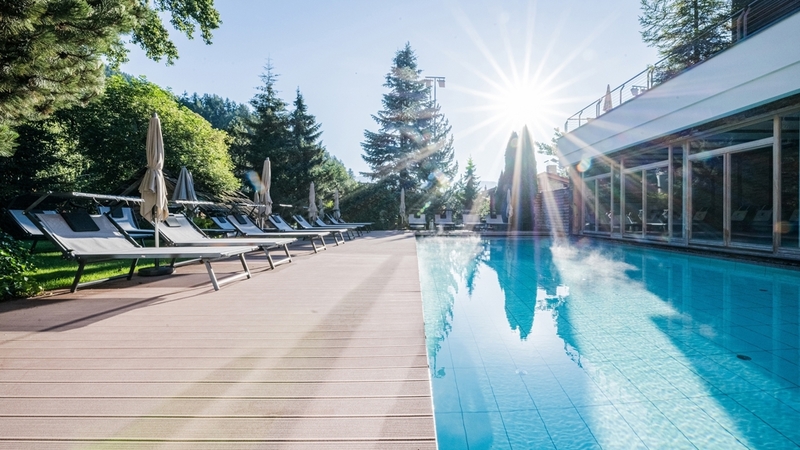 Moreover Hotel Lanerhof offers an inviting dining room with show kitchen, a wonderful spa area with indoor swimming pool, sauna and beauty farm and a playroom for kids. Not to forget the panoramic sunny terrace and the wooden living rooms with tiled stove. The village Montal near St. Lorenzen is an ideal starting point, if you would like to get to know the mountains, the nature and the culture of the region. Whether you like skiing on the nearby Mt. Kronplatz, hiking in the Dolomites or shopping in Bruneck, you will always get your money’s worth. Spacious suite with fragrant Swiss stone-pine furnishings, consisting of a bedroom with bathroom including a steam bath cabin, and a separated bedroom with bathroom for the children. Modern, luxurious suite with separate children's room featuring a freestanding two-person designer bath and open bathroom with large rain shower and colour-light therapy. Luxury suite with designer freestanding two-person bath and spacious open bathroom with large rain shower and colour-light therapy. Romantic feel-good room with high-class interiors, two-person whirlpool bath, large rain shower, and windowed bathroom. This spacious suite features a living room that can be visually separated from the bedroom by means of a curtain. The ideal choice for families with children. Suite with traditional Tyrolean charm, featuring a cosy stove and a welcoming sitting area. Romantic room with four-poster bed for dreamlike moments to share and private terrace with a view to the village. One-room apartment with visually separated sitting room for pleasant holiday moments. Cosy and spacious Deluxe double room, designed with great attention to detail. Single room offering sufficient space for fine moments of relaxation. 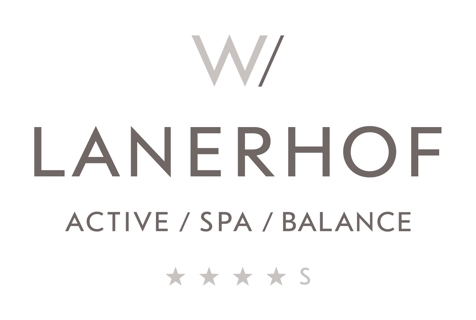 The family room in the Residence Lanerhof consists of 2 separated bedrooms and one common bathroom. It is equipped with shower and WC, hairdryer, beauty mirror, flat-screen Sat-TV, safe, and balcony. Our feel-good rooms are equipped with shower, WC, hairdryer, cosmetic mirror, flat-screen Sat-TV, safe and balcony.